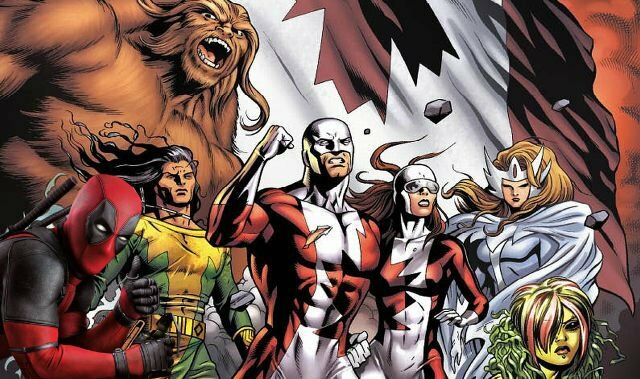 Production continues on the highly-anticipated Deadpool 2 and a new photo from the set reveals a fun Easter egg for X-fans with a nod to Alpha Flight, who are essentially the Canadian X-Men. It remains to be seen if this will go beyond a blink-and-you’ll-miss-it reference or if Deadpool himself will joke about the B-list heroes. Check out the photo below (via CBM)! Ryan Reynolds leads a cast of newcomers that includes Zazie Beetz (Atlanta) as Domino, a luck-manipulating mutant, and Josh Brolin as Cable, the time-traveling son of the X-Men’s Cyclops. Jack Kesy (The Strain, Baywatch), meanwhile, is attached to play the film’s central villain which, while unconfirmed, is rumored to be Irish mutant Black Tom Cassidy. Japanese actress Shioli Kutsuna and Julian Dennison (Hunt for the Wilderpeople) have also joined the film in mystery roles.